In the Archives is a series of five short documentaries (see a summary of each below) concerned with the power of archival materials – photographs, text, and oral history – to evoke historical memory and a sense of place and time. 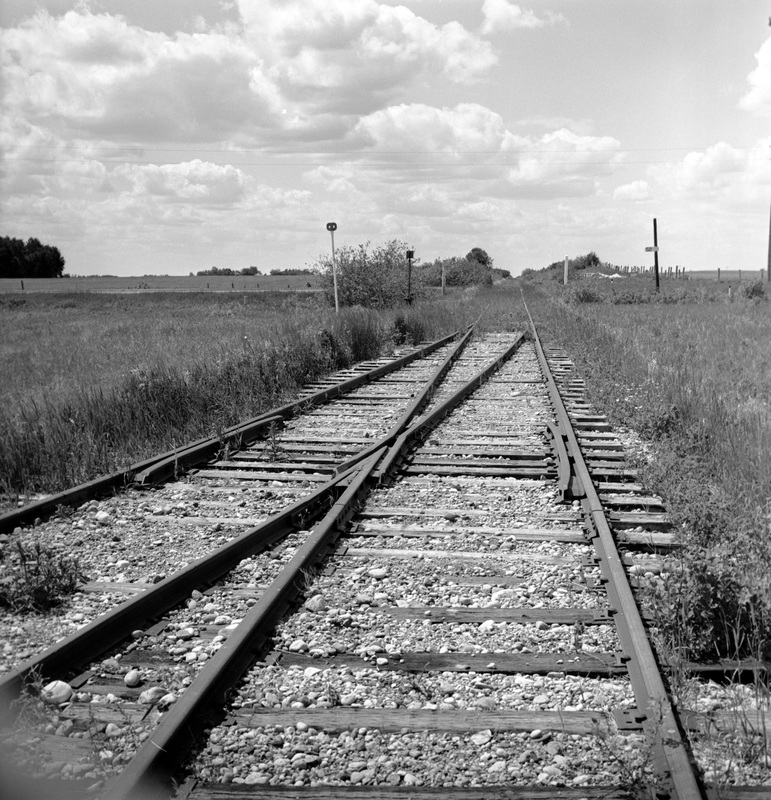 West switch, CNR branch, abandoned 1978 McConnell, Manitoba. Lawrence Stuckey, June 26, 1979, S. J. McKee Archives, 1- 2002.3.3.CNR . 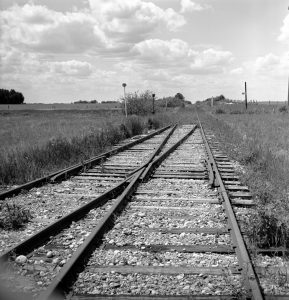 On 3 October 1978 the creator of these images wrote in his journal that for two years he had been taking photographs designed to capture the open spaces and big sky of the eastern prairies. But they were also composed to evoke nostalgia. Collectively, the photographs convey a visual elegy, a lament for a passed era. 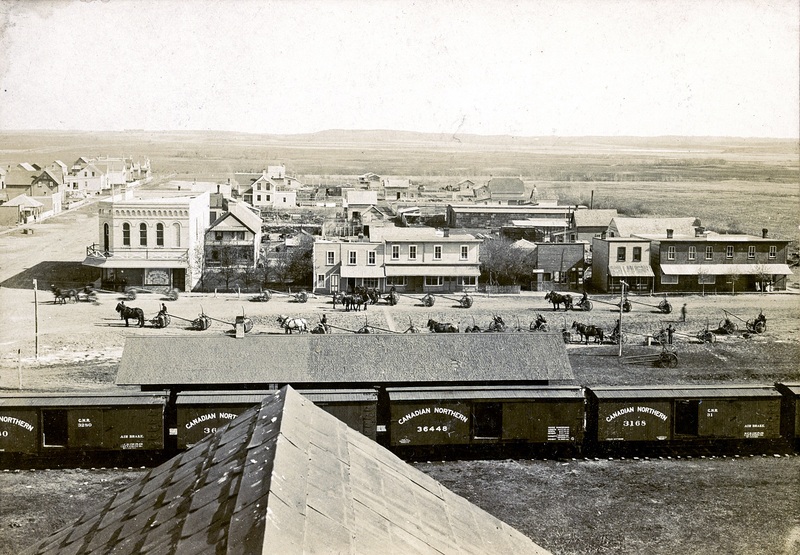 This segment of In The Archives examines the elegiac images and text of Lawrence Stuckey’s account of rural southern Manitoba. Untitled Image, anonymous, J.D. McGregor Collection, S.J. McKee Archives, 4-1998. 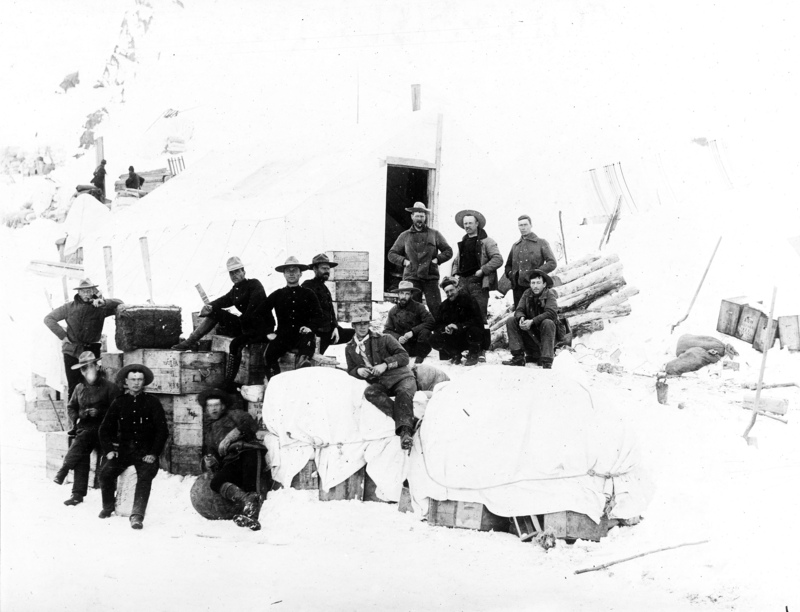 A stock breeder by profession, in 1897 J. D. McGregor travelled to the Klondike as a Mines Inspector courtesy an appointment by Clifford Sifton, Minister of Interior in the Canadian government. This segment of In The Archives explores Klondike gold rush era images of Skagway, Dawson City, the Chilcott and White passes assembled by McGregor during his time in the Klondike. 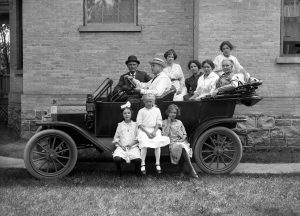 Untitled Image, Edward Walker, Edward Walker fonds, S.J. McKee Archives, 26-2004. 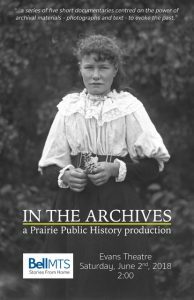 This segment of In The Archives displays the work of turn of the century (c. 1900), British trained photographer Edward Walker who settled in western rural Manitoba and created a comprehensive documentary record of the people and environs of a village on the Upper Assiniboine. Walker was born in England in 1836. 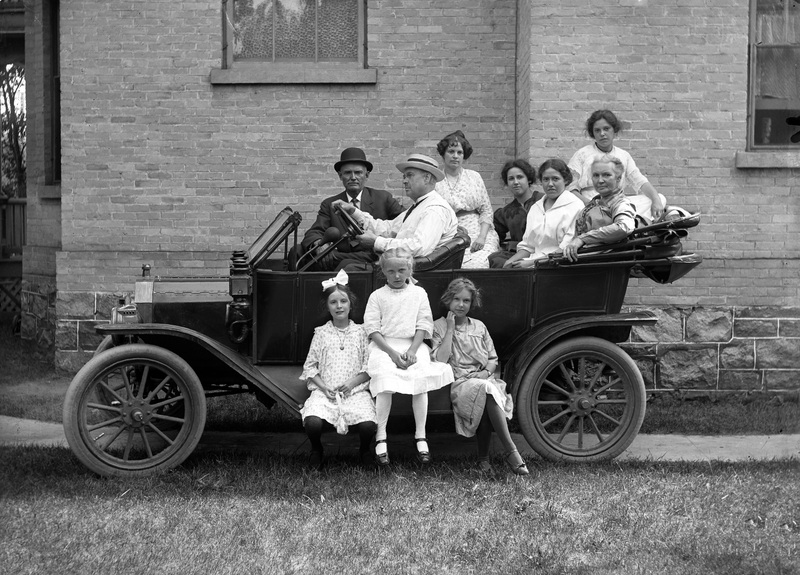 He emigrated to Canada in 1895, and landed up on the Assiniboine at a place called Millwood. Rosser Avenue at 10th, Strand Advertisement 1943. Anonymous. Hazel Thomas Collection, Daly House Museum. 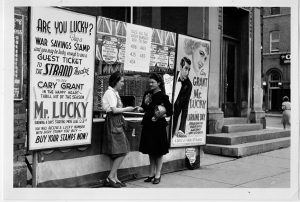 This segment of In The Archives examines how images taken at the of the Strand Theatre (Brandon, Manitoba) during World War II helped to shape the imaginative world of Brandonites at war. This is a case study – a local version – of the character of North American mass entertainment culture 1939-45. 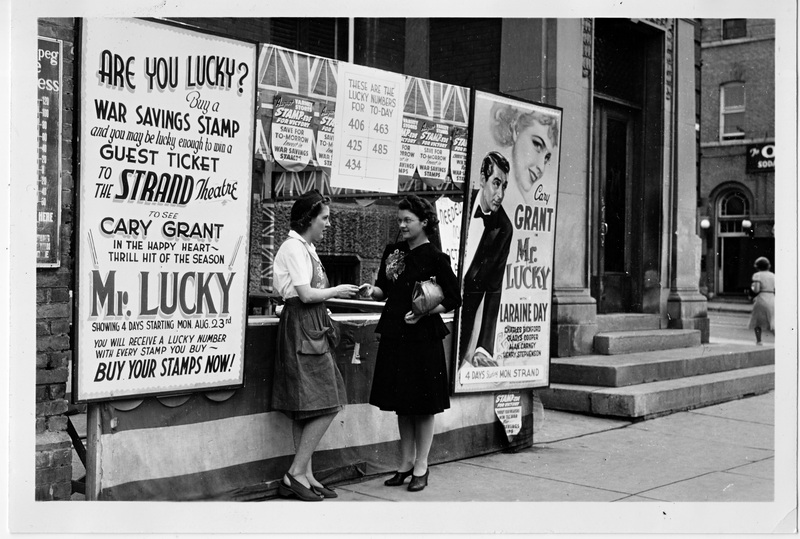 At some point, Hazel Thomas, a Strand employee during this era, was given custody of these photographs. They were donated to the Daly House Museum after Hazel died in 1993. 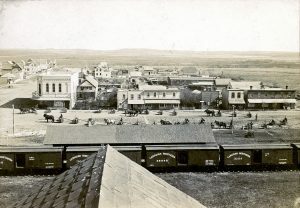 Baldur Manitoba c. 1900. Anonymous. James Wall Collection, S.J. McKee Archives. Baldur Manitoba circa 1900 is the focus of this segment of In the Archives.